The cottages can be found in various counties around the UK and Ireland, with North Yorkshire, Northumberland, Derbyshire, Sutherland, Perthshire, Roxburghshire, Ayrshire, Ross-Shire, Dyfed, Gwynedd, Dorset, Devon, Cumbria, Worcestershire, Cambridgeshire, Surrey, West Sussex, Suffolk, Norfolk, Cornwall, Durham, Shropshire, Oxfordshire, Lancashire, Essex, Wexford, Kerry and Roscommon all getting a mention. 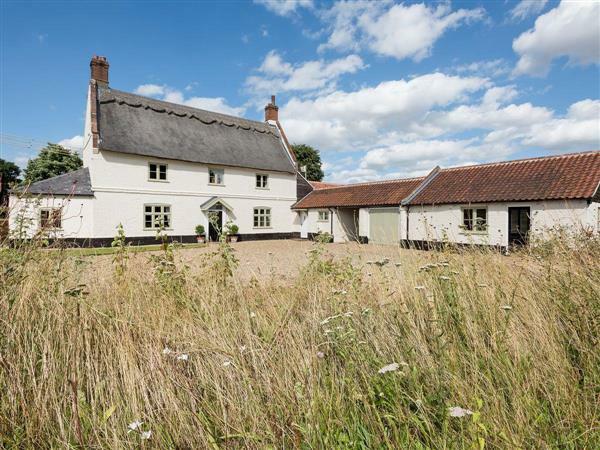 There is one holiday cottage to bring to your attention this week, and that cottage is: "Three Horseshoes House in Scottow near North Walsham, Norfolk". Three Horseshoes House in Scottow near North Walsham, Norfolk - Three Horseshoes House is a large holiday cottage in Scottow near North Walsham, Norfolk. Three Horseshoes House in Scottow near North Walsham even has its own private hot tub. Ballagh Court Cottages - The Granary in Adamstown, Co. Wexford.